Are we moving toward a post-television world? As the third annual Digital Content NewFronts kicks off today in New York, we’ll be awash in new programming that will range from the sublime to the silly, and marketers will be similarly inundated with hype and pitch. It still follows an upfront model, after all, and sales is sales. But the evolution of Web video continues at a rapid pace and is as fascinating as it is nuanced. Supercharged by equally speedy advances in compression technology and smartphone adoption, the ability of digital video to reach consumers with content—information, entertainment and, yes, marketing—is undeniable and increasingly on display. As we wade through the week’s froth, we should make note of Simon Ostrovsky, an American reporter for Vice News who, until late last week, had been detained by pro-Russian separatists in the eastern Ukrainian town of Slovyansk. While his video dispatches aren’t exactly high journalistic art, they arrive, powerful in their grittiness, from the very front of the Ukraine crises. It says something, and is central to digital video’s potential, that his reports have drawn so much attention globally, and without the resources of a major news organization and distribution platform, that pro-Russian forces felt compelled to abduct him in order to muzzle him. 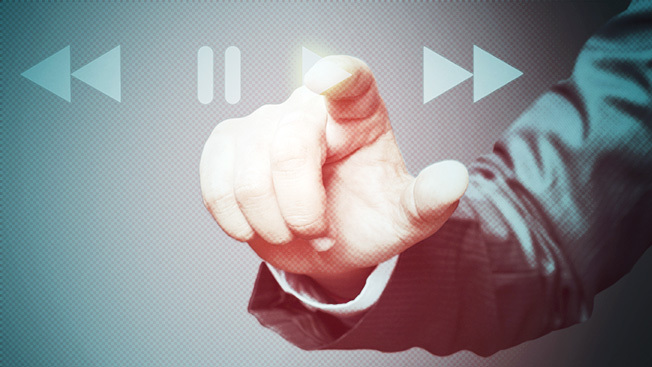 Adweek has long recognized that digital video will irrevocably transform the media space. We cover it aggressively, and we have enjoyed being the official media partner of DCNF with the Interactive Advertising Bureau for three years. As part of that relationship, this week’s issue is dedicated to digital video. In his Voice column, Randall Rothenberg, chairman and CEO of the IAB, keenly observes that we are standing between the television and the post-television worlds. Amazon’s landmark deal last week to offer HBO’s iconic original series is just the latest example of that transformation. Our cover story by staff writer Sam Thielman profiles Hulu’s new CEO Mike Hopkins and the streaming video service’s efforts, along with those of the competition, to create breakthrough originals that rival those on television, both broadcast and cable. On page 50, Thielman has the lowdown on five great shows you can’t watch on television. Staff writer Michelle Castillo, who joined Adweek last month from CBSnews.com to report on digital media with a focus on digital video, looks at the lessons traditional news outlets are gleaning (or, stealing) from Web upstarts rewriting the tenets of journalism for a digitally sophisticated and increasingly mobile audience. Then, there’s Castillo’s Q&A with Beau Willimon, creator of the American version of House of Cards for Netflix, the early gold standard for digital video development and hopefully a harbinger of more great programming to follow on our jumble of screens. Television, the collective hearth that brought the Vietnam War, Seinfeld, The Simpsons and Breaking Bad into our living rooms, is rapidly being disaggregated not only by platform but also by location. Digital video travels well and its ubiquity and utility make it a highly attractive medium for those consuming it, and crucial for brands messaging through it. That will certainly be the central theme of DCNF, along with finding new measurement models and the various stepping-stone questions surrounding technology and mobile. Starting on May 12, after DCNF wraps, Adweek.com will feature video clips from the 2014 slates of DCNF partners, parsed by demo, so media buyers will be able to revisit the myriad content offers presented in what has become a crowded and intense programming showcase. Finally, Adweek’s inaugural Watch Awards, celebrating the best in digital video, remains open for submissions at adweekwatchawards.com through Monday, April 28. Hit play.